Jamie Olivia Haapalainen was born September 6, 2003. She was diagnosed with Spinal Muscular Atrophy (SMA) Type 1 at a very early age. 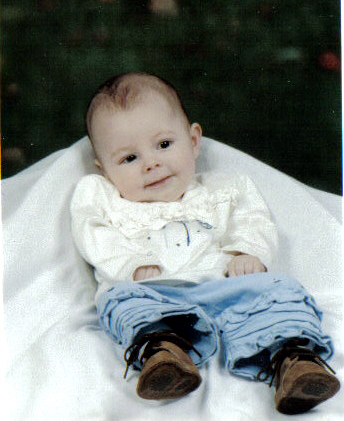 Jamie became an angel on February 1, 2004 at 5 months of age. Please browse through her site to find out more about a very special little girl. Please sign her guestbook to let us know you were here! Jamie's little sister, Lindsay is here!!. She was born on April 5/06 . This year the Rebecca Run for SMA was held on July 9/05. We are pleased to announce that Jamie was chosen to be co-honoree with Abby Loebach! Janne and I along with Dave and Jennifer Loebach are so proud of our little angels! Please visit the website to find out more!